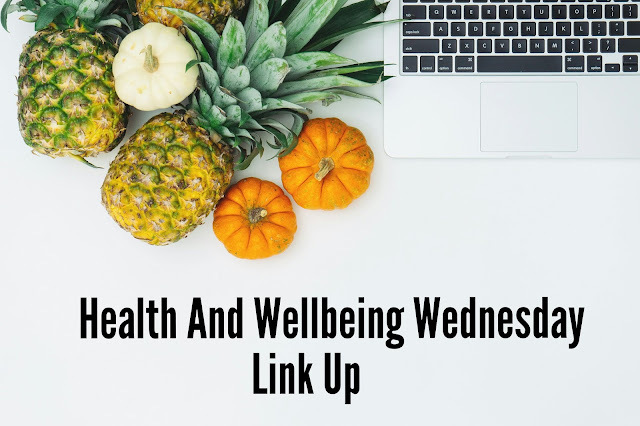 Welcome to the Health and Wellbeing Wednesday link up blog post, If you have a post that you have written that covers any of the following subjects please join in the linky and comment on the two blogs before you. Also, comment on the two host blogs. This is Hosted by myself and Anita at The House That Never Rests as we are both stumbling through Slimming World and thought it would be great to have somewhere to share posts and read other stories to encourage each other. Have you written about any of these subjects? healthy and wellbeing reviews of products or places. If you have and they are less than 6 months old, please join the linky because everyone needs some new inspiration sometimes. No MLM posts, please. When you have added your post to the linky, send out a tweet with the #HealthyWellbeingWednesday and we will retweet them for you. The linky opens every Wednesday morning and will be open until the following Tuesday, so you have a week to get your links in. So a little bit about me, because that's my favourite subject! I am 46 and started at slimming world in September and since then I have lost 2 and a half stone. I am a mum of 4 and work Part time for Superdrug and full time from home. I have three children in their 20's and then there is Matilda (Tilly) who is 8 years old. I first met Anita a couple of years ago at a blogger camping weekend and we have been friends since and she is the type of friend that you meet up with for a glass of wine, but actually, end up having 3 bottles! We look forward to reading everyone's blog posts and hopefully getting some new ideas and supporting each other. You can find me on Twitter as @MissTillyAndMe and Anita is @THT_never_rests, if you tweet us, we can share your posts out too but don't forget the hashtag.